UpRising is a UK-wide youth leadership charity, opening pathways to power for talented young people from diverse and underrepresented backgrounds. We equip them with the knowledge, networks, skills, and confidence to fulfil their leadership potential and transform the world around them through action. The people who represent our interests and lead our institutions do not reflect the population of Britain today. The majority of those with power often come from a narrow range of backgrounds. We unearth and inspire young talent across the UK, so that our communities have leaders who truly understand and serve their needs. We offer a range of leadership, youth engagement and employability programmes for 16-25 year olds. Our flagship programme is a nine-month leadership programme providing ‘access behind the scenes’ with some of the UK’s most senior leaders across the political, private, public and not for profit sectors. 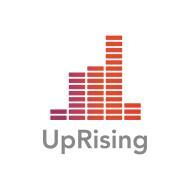 UpRising was developed and launched by the Young Foundation in 2008 in East London. Our work expanded to Bedford in 2011, and Luton in 2013.